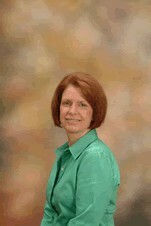 She is a graduate of the University Of Tennessee College Of Dentistry, class of 1992. She graduated with honors and received the American Association of Orthodontics’ award for interest in the growth and development of the craniofacial complex for that graduating class. She practiced for many years at East Memphis Dental Group. During that time Dr. Barron completed a two and one-half year continuing education program in orthodontics from the United States Dental Institute. She has treated patients with general orthodontics (orthodontics performed by general dentists) since 1994. While attending further continuing education in general orthodontics (orthodontics performed by general dentists), Dr. Barron became interested in the treatment of Temporomandibular Joint (TMJ) Disorder known as TMD. Dr. Barron has experienced and understands TMD from the patient's point of view because she, herself, suffered from TMJ Disorder for many years with debilitating headaches, neck and back pain. Within her training to treat the disorder, Dr. Barron was diagnosed and treated successfully for this disorder.